Everything that exists, can exist better; that’s what Premium Stock Photo platforms prove to exist and that’s what this Focused Collection review is about. Focused Collection is a project by Depositphotos; one of the top stock photo companies in the world, but let’s address the basics first before diving deep into this Focused Collection review. What’s Different with Focused Collection? Depositphotos; like most other stock photo platforms worth their salt claims its stock photos are the best in all the possible ways. Why then does it need a separate platform to sell its content? A legit question that is. The answer is, “Elite needs”. Most designers, bloggers, magazine printers etc. can work with the high-quality stock photos available on Depositphotos or other similar platforms. That’s simply because either their budget is limited to those photos, or because those photos too are top-shelf and capable enough to cater to most needs. But, there are certain groups of people or niches which need only the “best” photos, something that’s better than the best, and are ready to pay a slightly higher fee to get their hands on such photos. Some examples maybe International Magazines; text-books for schools, Presidential campaigns, or something as basic as a personal project where you wish not to spare any detail and make it as exclusive as possible. Also, traditional stock photo platforms focus on having a large number of files in their libraries (Depositphotos has as many as 110Million+) making sure they have content for just about every keyword on the planet and for every need. This somewhat saturates the “type” of content available on such platforms, while still is exclusive and of the best quality; yet is captured or sold from a “commercial” point of view. And because these are priced lower than premium photos, chances are more than one person owns a photo and the world has already seen them. That’s where Focused Collection comes to the rescue. Focused Collection is a platform which lets you buy premium, Royalty-free and most exclusive stock photos, illustrations, and vectors. These images are hand-picked by the Focused Collection team from the best photographers around the globe. Also because of the higher quality and very exclusive choosing the number of files on Focused collection will be much lower than on Depositphotos or other similar platforms as it focuses more on the quality than the quantity. Obviously, the photos found on Focused Collection are superior to those found on other stock-photography platforms not in size or pixels; but in the way the photo or its subject-matter is. Unlike traditional stock photography platforms, the photos on Focused Collection have a much higher “artistic” value; or more innovation in them. Let’s not beat around the bush so I’ll just say that as a “Photograph”; Premium photos found on Focused Collection will be better than those found on everyday microstock platforms. The User-interface is how the site looks or feels for the users and how smooth the navigation or just basic using of the site is, that’s what the UI section of this Focused Collection review is all about. As for Focused collection it has a pretty newbie-friendly interface, there’s a big yet light search-box where users key-in the keywords they’re searching for. There is a top-bar but it’s kept minimal without any extra, non-essential options cluttering up the space and only consists of a language-icon letting users switch to other languages for the site. 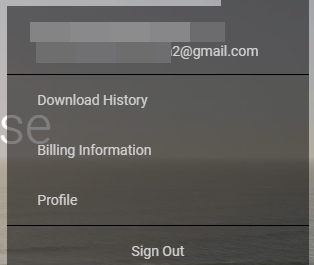 The top-right bar too has just one icon which denotes user accounts which can be clicked-upon to reveal only some of the most important options such as Billing, Download history, Profile etc. Scrolling down users are presented with select-few collections, these have already established themselves as some of the best(est) photos available on Focused Collection. Interested users may click on “Explore Collection” button to get more of similar premium content. Further down the homepage displays a section for “Featured Artists”, if you’re open to suggestions and there isn’t anything specific you’re looking for but just want the best photographers out there, this is where you click. Focused Collection also lets you search within the specific photographer’s personal contributions by using the search-box provided in the profiles of those artists. Back to the homepage; the final section displayed is that of Categories, it lists the most searched-for categories on the platform clicking on which takes users to the premium stock photos that the platform has in its library for that specific category. What I did notice is that the platform lacks a F.A.Q which even though isn’t absolutely necessary, could help newer users seek answers to their questions. In all my reviews with “marketplaces” I pay special attention to the platforms’ search-capabilities, the same holds true for this Focused Collection review as well. What I consider of prime importance is the time required by the platform to bring back search results, the accuracy of the displayed results as compared to what I searched for, and obviously the number and types of available filters which are supposed to narrow down my searches. Even though Focused Collection doesn’t have 110Million+ stock photos like Depositphotos the number is still in hundreds of thousands and hence without an adequate or efficient search-feature there’d be an unacceptable amount of wastage of time. The search-box for one is extra-large which isn’t a major “YAY” point; yet is a positive one. Now let me say that if you’ve been with Depositphotos you’d notice that this search-bar isn’t as advanced as that on Depositphotos, yet I believe is pretty filter rich. For e.g. the orientation would let me choose the orientation for the photo and I can choose from a Square, Vertical, or Horizontal photo. And yes the “People” filter lacks advanced options such as “number of people”, or “faces” options; but it still lets us choose if we want people in our photos or would like to exclude them. The categories filter lets users search for their photos based on specific categories, for e.g. I searched for “Garden” in the “Business and Finance” category and it displayed photos of women and swipe-machines making trades with Gardens/ flowers in the background. To get a better idea, I paired the keyword “Garden” with the “Education” category and it brought up kids playing/studying in gardens, elderly women reading in garden benches, kids gardening and so on. Similarly the keyword “Tech” when paired with “Education” category brings up schools and digital classrooms, while “Education” when paired with “Animals” category brings up people teaching animals, kids studying in the presence of animals and other similar results. (Can’t include screenshots for copyright reasons). Point is, the search A.I is advanced enough to know what you’re searching for and displays results accordingly, 5/5 for precision and accuracy. The colour filter lets users search for photos which pre-dominantly consist of the selected colour, best-suited for those who need photos for their blogs or digital projects which have specific brand-colours. Then there’s another filter which lets users search either from Editorial images, or exclude editorials. This helps users easily find photos which they can or can’t use for commercial gains (Editorials can’t be used for commercial gains). The two other basic filters were for “Best Match” or “Newest” content; the former displays results which seem closest to the keyword, while the latter prioritizes newer photos over older ones. So in a nutshell, the search-feature is pretty advanced, displays what you’re searching for and has enough filters, the only adjustment that could be made is with its safe-search feature. 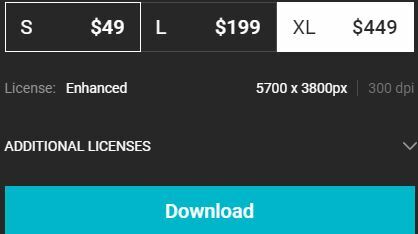 What Size Photos and Licenses are Available on Focused Collection? The exact size available under each of those three sizes for these images differs for each individual image. The size of the photo also defines its license, and some images have “Enhanced” license with their XL sizes. How to Purchase on Focused Collection? Focused Collection, again unlike all other traditional stock photography sites doesn’t have a “subscription” plan. Which is understandable considering how no one would really need such premium, high-end photos everyday or even frequently (although there may be exceptions). Rather, the site functions on one-off payments for each individual download. The process is pretty identical to how any other stock photos functions, simply search-for the photo you want > select the size you want > click on download and you’re redirected to the payment page. As is evident, only Credit Card is supported for now. The lack of PayPal did sting me a bit but I guess that’s acceptable for a site which I’m not going to be using on a daily-basis (also saves on the PayPal fee). There’s no specific price and it differs for each individual image based on its size, licenses and other add-ons. Let’s sum this Focused Collection review up with a glance upon its support team. They can be reached via the contact form on the website, E-mail or even direct phone. The phone support is available in as many as 8 languages, in 8 different countries including U.S.A, Russia, Spain, Germany, France, Portugal, Ukraine, and Italy. The platform doesn’t have a live-chat system which I believe is something that totally could be improved; even though the site doesn’t have major technicalities like a subscription plan or multiple payment methods; there may be other questions which I’d like to get solved using live-chat. So that’s a wrap as far as this Focused Collection review goes folks; I believe there isn’t much left untouched which you may seek an introduction to. 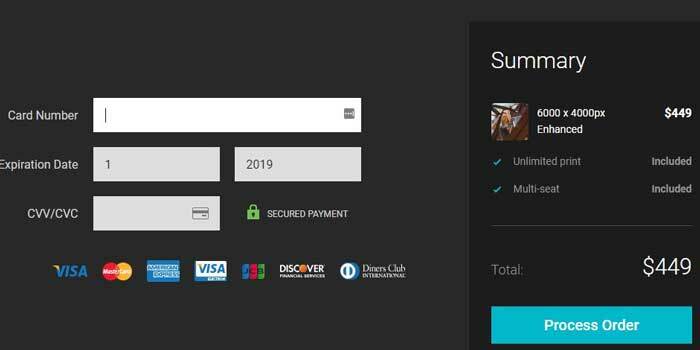 If you ask me, compared to its competitors the pricing does seem fair (although it depends on which photo and license exactly we’re talking about), the UI or order-process too is pretty seamless and easy to understand. And while there are minor upgrades the platform could make, it’s acceptable for now. But hey that’s just my opinion, do let us know what you think of Focused Collection review as well as the platform in general in the comments.